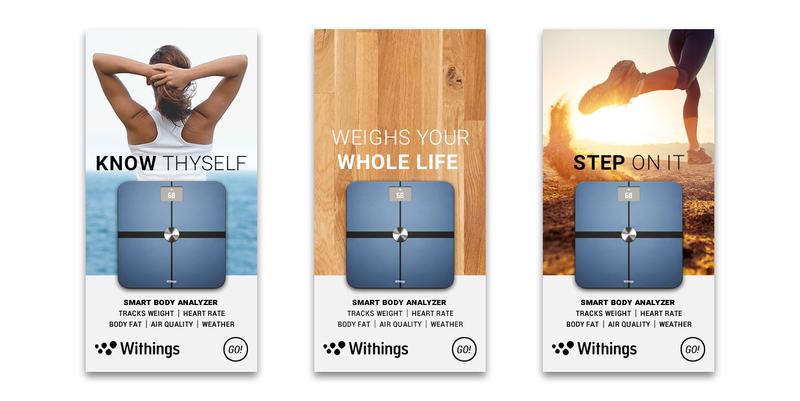 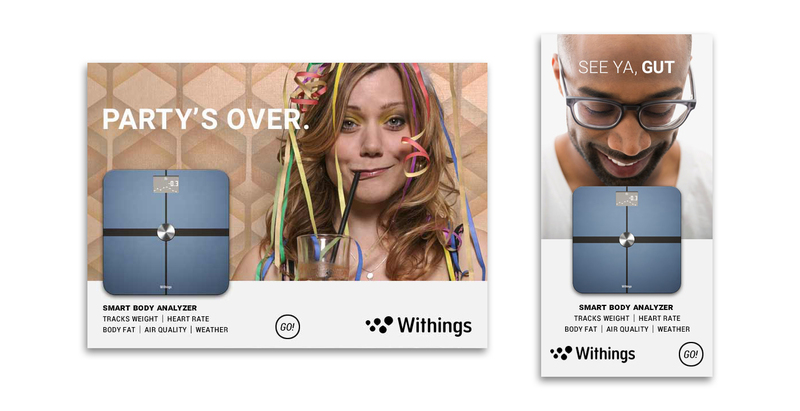 We were engaged by Withings to introduce their two flagship products, Activité POP and the Smart Body Analyzer, to the US market via digital advertising. 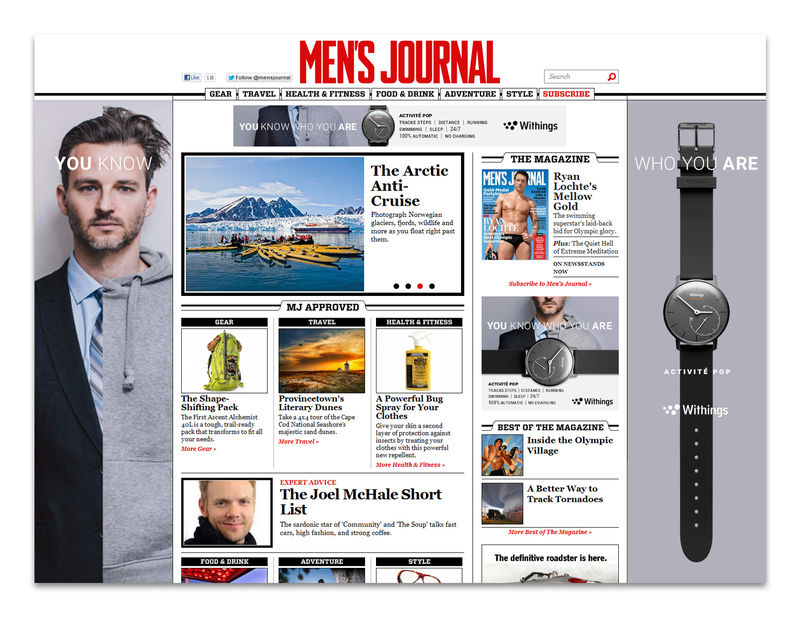 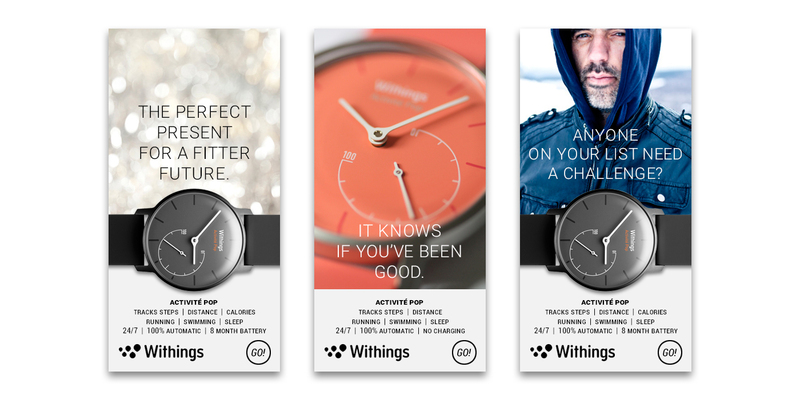 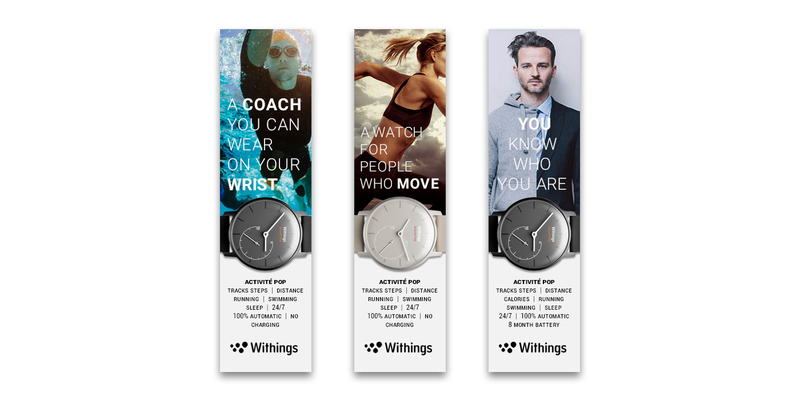 Where previous online efforts had been inconsistent and ineffective, we developed a programmatic system that respected the Withings brand but spoke clearly and directly, in a voice that made sense to our American audience. 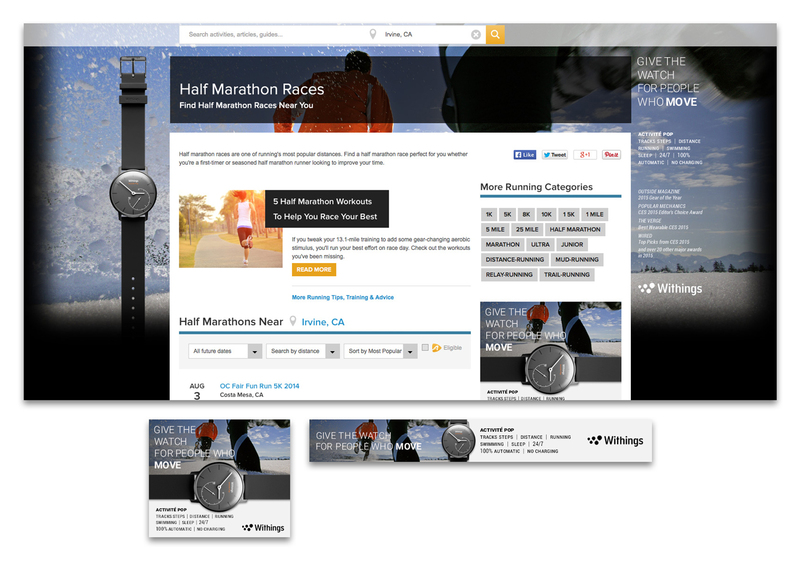 By continuously refining paid search and optimizing our creative based on focused data analysis and accurate reporting, we were able to maximize impact and drive measurable results. 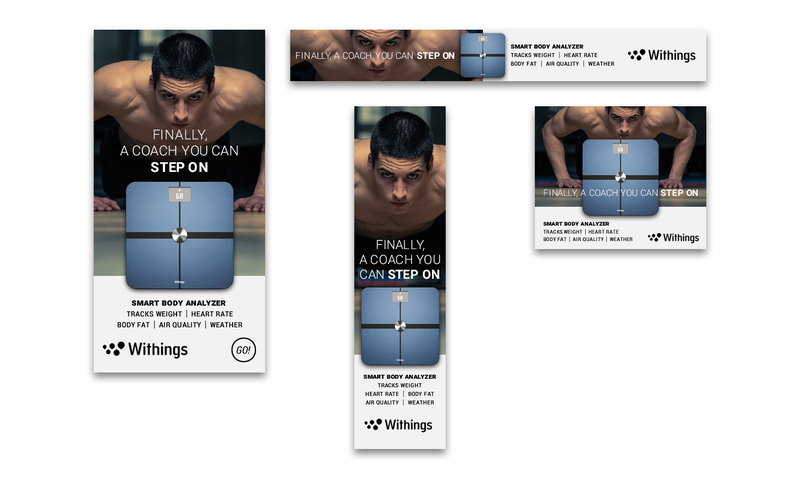 Over the course of the four-month campaign, we developed eleven rounds of creative executions that allowed what began as a top-of-the-funnel awareness campaign to successfully pivot into a sales support tool with a closely managed CPA that impressed even the most skeptical at the company.